ANAHEIM — The big man threw down a dunk with thunderous force. On the surface, the play could have just revealed Tarik Black’s bruising strength with his listed 6-foot-9, 250-pound frame. But symbolically it could have represented Black finally unleashing his power that often went unused in a previously frustrating season. But instead of sitting on the bench, Black played a large part in securing the Lakers’ 103-84 victory over the Sacramento Kings in their preseason opener on Tuesday at Honda Center. Black represented a second unit that chipped away at a 13-point deficit in the second half. He posted 15 points on 5-of-5 shooting and five rebounds. And even if it’s necessary to consider the Kings mostly rested their starters, Black validated something he felt all along as he mostly sat on the bench last season. Black didn’t get those opportunities because former Lakers coach Byron Scott belief he lacked consistency with both his hustle and mid-range game. Several inside and outside the Lakers believed otherwise. Though he averaged only 3.4 points and 4.0 rebounds in 12.7 minutes through 39 appearances, Black pointed out his numbers were pretty efficient when considering the minutes he had to produce them. Black’s night started off a little rough where he mixed in a basket and a rebound with an offensive foul. Black’s night ended where he played a key part in securing the win. He helped the Lakers close out the third quarter with a 11-3 run that included converting on a pair of foul shots and finishing a layup to cut Sacramento’s lead to 68-62 with 1:34 left. In the fourth quarter, Black converted on a three-point play and a layup on consecutive possessions to give the Lakers a 72-69 edge with 10:25 left. Not that this should surprise Black entering his fourth NBA season. All of which gave Black the proper perspective. He stopped and soaked in the moment. Then Black looked ahead, determined not to allow this one positive night to serve as redemption. 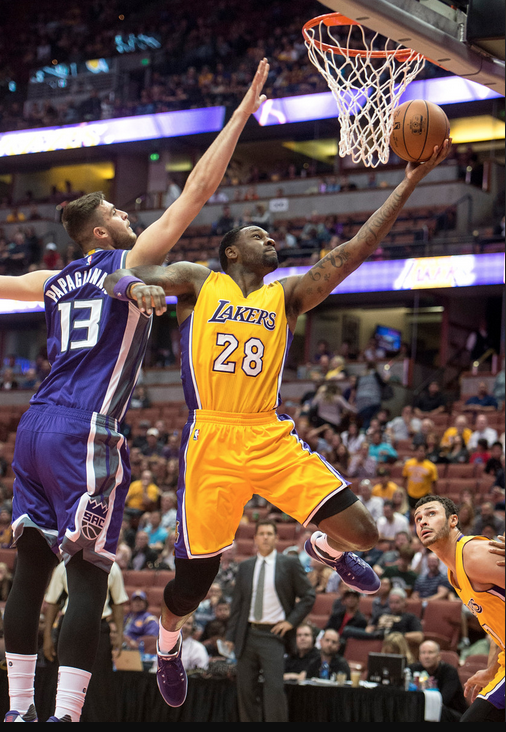 Lakers staying open-minded on how to feature Julius Randle, Larry Nance Jr.